In the last five years development of football for women and girls has been an important spearhead in the FFK policy. On a regular basis festivals and talent days have been organized to give young girls a taste of football. Girls interested in playing football have been stimulated to join talent development teams. The national selections of different age categories have participated in regional Caribbean tournaments.Several coaches have attended CONCACAF and FIFA courses on women football. 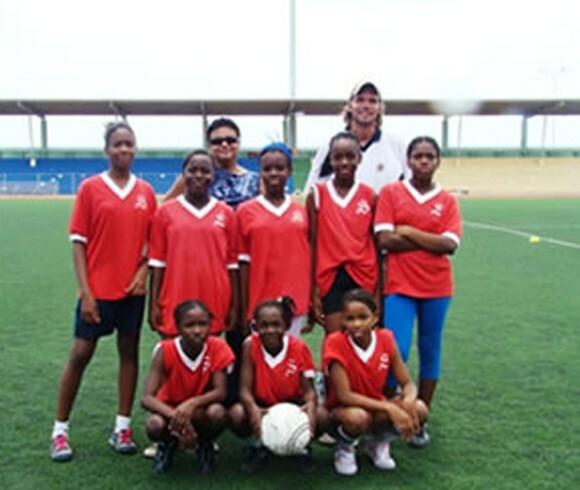 Still, football is not (yet) a major sport for girls on Curacao and different age categories play in one team. One of the biggest bottlenecks is the limited amount of artificial fields on the island. Playing on gravel fields can lead to burns and scratches – a major drawback for most girls. 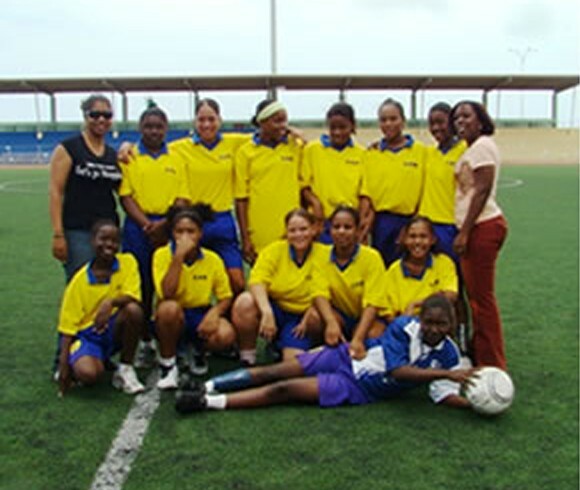 FFK will continue its efforts in making football available for girls and women on Curacao. Currently, the FFK is implementing the School Adoption Plan for eight schools. In this project, football for girls is promoted at grassroots level, both during and after school. For the participating girls, a 5 vs 5 tournament is organized on a quarterly basis. At secondary school level, 10 girl teams participate in the school competition.